The new Alaska Marine Highway System ferries, to be built by Vigor Industrial, will feature Rolls-Royce propulsion systems. Rolls-Royce has been selected by the Alaska Department of Transportation and Public Facilities, via its Alaska Marine Highway System, and Vigor Industrial, to provide propulsion systems for its future Alaska Class ferries that will be built by Vigor Shipyards in Ketchikan, Alaska. The two Alaska Class ferries will feature a range of Rolls-Royce technology, including reduction gearboxes, tunnel thrusters and steering gears. 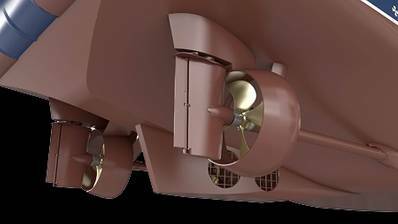 Additionally, a Rolls-Royce Promas propulsion system, which integrates controllable pitch propellers and rudders, will increase fuel efficiency and enhance maneuverability. Each ferry will be 280 feet long, seat up to 300 passengers and carry more than 50 standard vehicles; and will feature bow and stern doors, for quicker loading and unloading, and fully enclosed car decks.